Another day, another article about how some new technology is going to change everything. Nirvana is ours, if only we implement the technology in full and then sit back and reap the rewards from our investment. All of these articles and their over-hyped claims ring hollow because they fail to recognize the human component in the adoption and usage of tech. KYC Nirvana! Everyone is happy because the tech requires fewer than five minutes to determine that the client is not an international money launderer. While appealing, I wonder what the process for dispute resolution will be? Lets look at digital Know Your Client (KYC) systems, a technology that has had a lot of exposure in fintech news in recent months. The tech was recently proposed as the solution to liberalizing cryptocurrency trading in Singapore (here). While the trading of cryptos is not prohibited in Singapore, back in September bank accounts for crypto exchanges were closed, in part due to KYC issues and fears of money laundering. Now blockchain-based KYC are being proposed as a solution, even though such systems are still in the early stages of development. Recently, a consortium of banks in Asia –OCBC Bank, HSBC Bank and Mitsubishi UFJ Financial Group (MUFG) – collaborated with one of Singapore’s government agencies, the Infocomm Media Development Authority (IMDA), to successfully launch Southeast Asia’s first Know-Your-Customer (KYC) blockchain. I have spoken publicly on how blockchain KYC solutions will be net positive for our financial system, especially if supported by governments — as is happening here in Singapore through a new blockchain KYC project. I am wholehearted in this belief and support these efforts completely. At the same time, I have been vocal about the problematic fact that the data fed into these systems is still controlled by humans, and can only be as strong as the weakest human link. So yes the tech is good and has the potential to be revolutionary. But the humans with access to the tech are critical factors in making these systems work, both in regulating the input of data and most importantly interpreting the results. 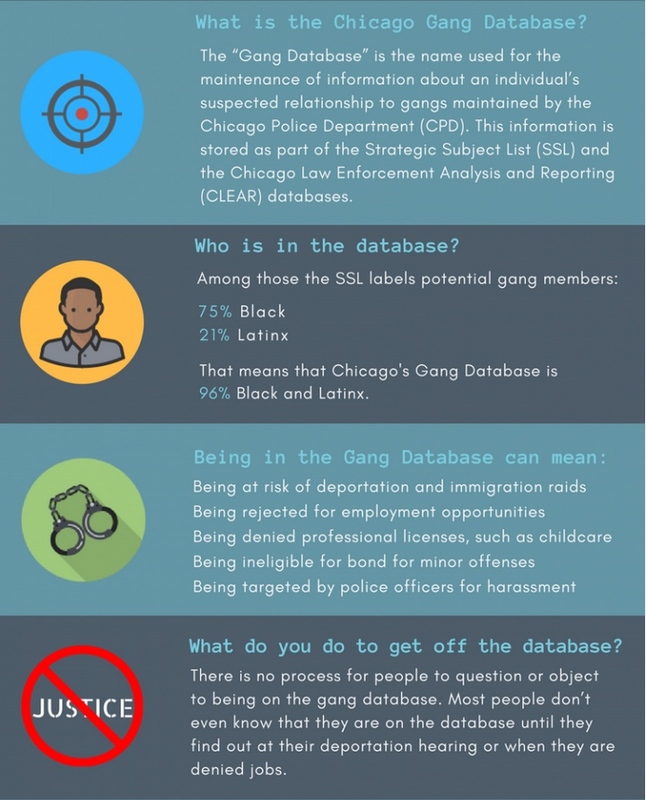 The Chicago Gang Database, not quite KYC but the principles are similar. Pay particular note to how you get off the database. 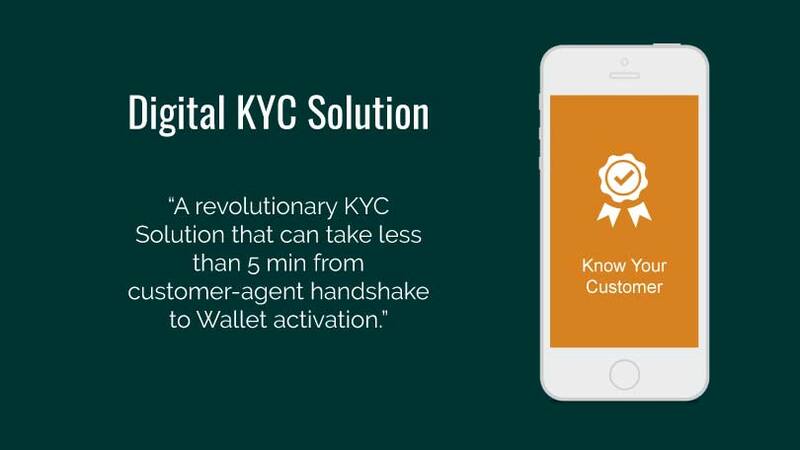 Will KYC be similar? An example of this “weakest-link” proposition with regard to KYC is found in a Bloomberg article that nicely illustrates the point. Mr. Wilmer Catalan-Ramirez spent nine months imprisoned because Chicago officials erroneously posted his image in a local big-data criminal database. Interestingly, his picture was posted twice — as a member of two rival gangs — making the error even more evident. A key point here is that the original database hosting his image didn’t trigger his arrest. It was only after the false information was integrated as a data stream in another big data system, not unlike those used for KYC, that an arrest warrant was issued. In the end it was humans in the form of lawyers who had to make the correction and free Mr. Catalan-Ramirez from his big data nightmare, just as humans will need to underpin any new KYC system. Big data sources that can be combined for a blockchain based KYC system. What does immutability mean when the unpaid parking ticket from that car you rented in Italy a decade ago freezes your application? In theory, a blockchain system with multiple inputs from global financial players might help avoid misidentification because blockchain would provide an immutable, rock-solid, multiple-verified record of who is who. I believe this proposition is flawed in two basic ways. First, note how easily the secure Swift payment system has been compromised in heists in India and Bangladesh, will input of customer data be any better? 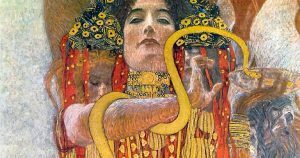 Second, and more problematic, is the issue of “immutability” itself. In a perfect world, it works. But systems are imperfect, and errors are inevitable. Who or what rectifies errors when they occur as part of a data mining operation? 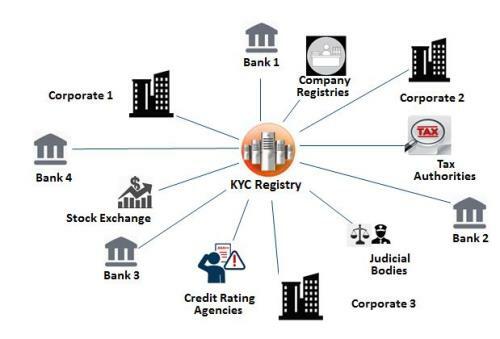 The key to all of the latest KYC systems, regardless of blockchain specifics, is big data as shown in the diagram above. What human will be empowered to edit errors in our immutable system and who would be to blame if data mining gets it wrong? For those that say AI should take over and humans should be taken out of the equation entirely, I submit that changing from big data analysis to AI may not have helped much. AI is great at detecting statistical anomalies from data it assumes to be true. Mr Catalan-Ramirez was classified as a criminal by the big data system based on the weight of false data behind him. If this false data fooled the big data system it probably also would have fooled an AI into erroneously classifying him as a criminal. AI can certainly be set up to detect greater subtleties in the data stream.That said, I’m not sure that we have the technical ability to train the AI to accurately discern every – or even most –anomalies. Mr Catalan-Ramirez serves as a chilling example of big data gone wrong. To assure that mistakes like this don’t happen to your organization, your shiny new blockchain KYC system will require serious human oversight. Sure the tech is great, and I fully support blockchain-based and big-data driven KYC efforts. All I ask is for its advocates to stop selling a panacea, a cure-all. Acknowledge that humans will make this new tech work, and it will be subject to many of the same issues we currently face. Richard Turrin is an award-winning executive with over 20 years of experience in fintech innovations. He most recently served as the senior executive heading fintech for IBM Cognitive Studios Singapore after working for much of his career as a banker. He is now an independent Consultant and helps clients navigate the uncharted waters associated with the latest AI and cognitive technologies. He is a co-author in the upcoming “InsurTech” book, and enjoys spreading the message of digital transformation through conferences and blog posts. Most of all, he enjoys building teams and systems that solve real problems. 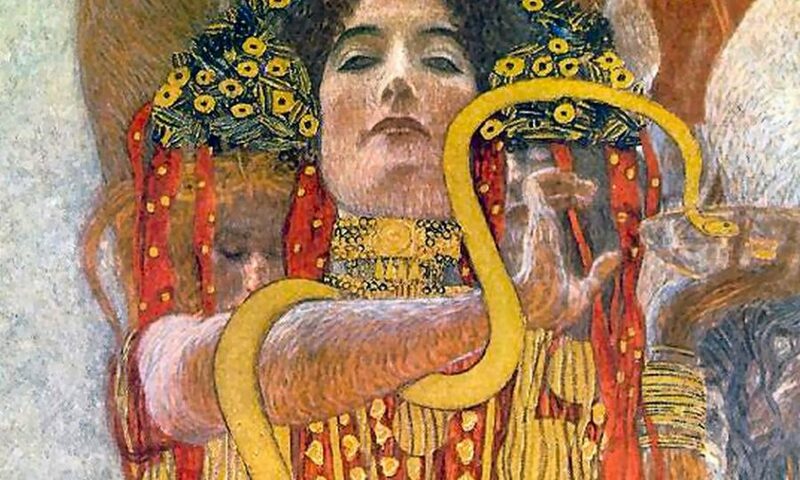 Panacea was the goddess of universal remedy. She had a potion with which she healed the sick, and her name became equated with a cure-all or something that solves a large problem. Big data and blockchain are currently viewed as the Panacea for Know-Your-Client, but is that actually the case?